We offer a range of Alpaca courses and educational events covering everything from husbandry courses to showmanship courses. With the knowledge base of our team we are well equipped to give tuition on an array of alpaca related topics. With AOA and BAS certified Alpaca Judge, Nick Harrington-Smith, resident on farm you could not ask for a better teacher! Alpaca Evolution’s Showmanship course is perfect for those breeders looking at entering into the wonderful world of Alpaca showing. We will guide you through the process from readying your alpaca for showing through halter training to how to best present your alpacas in the ring. With an AOA and BAS qualified judge plus a team of extremely experience Alpaca handlers at your disposal we can explain showing from every point of view! We will guide you in every step to make your showing experience as seamless and stress free as possible. This is a one day course and includes a light lunch and refreshments. The Alpaca Evolution basic husbandry course is the best introduction to Alpacas you can ask for. No matter if you own a few already and want to improve your knowledge or you are looking to make sure Alpacas are really for you this day will benefit you. Learn all you need to know about the basic care of your alpacas through a combination of classroom and practical learning. The course covers everything from setting up pastures to toe trimming and basic cria care plus a lot more besides! This is a one day course and includes a light lunch and refreshments. 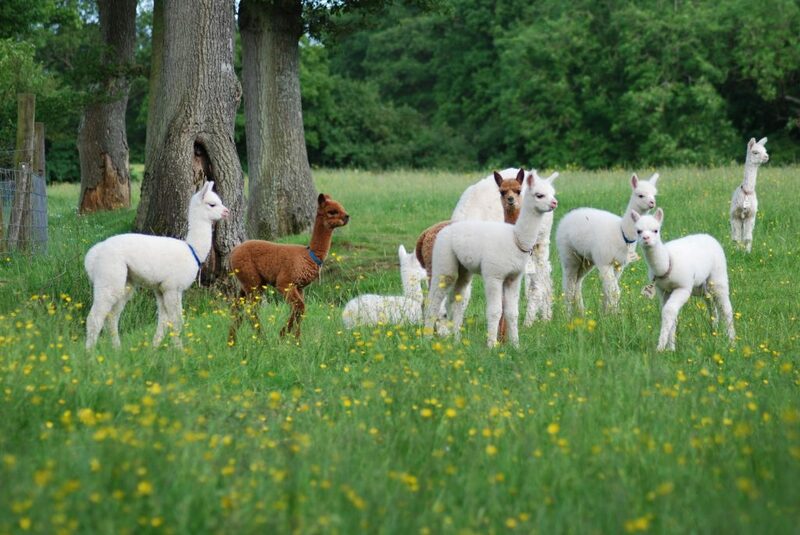 Let Nick Harrington-Smith, AOA and BAS qualified Judge and approved BAS affiliate trainer, guide you through the process of selecting Alpacas for breeding. This course will guide you through conformation and fleece traits in more depth and help you assess what you wish to get out of your breeding program and how to go about this. This is aimed at arming you with the tools you need to either select Alpacas with which to establish a breeding herd or just to help you make more informed decisions when making breeding choices within your own herd. This is a one day course and includes a light lunch and refreshments.